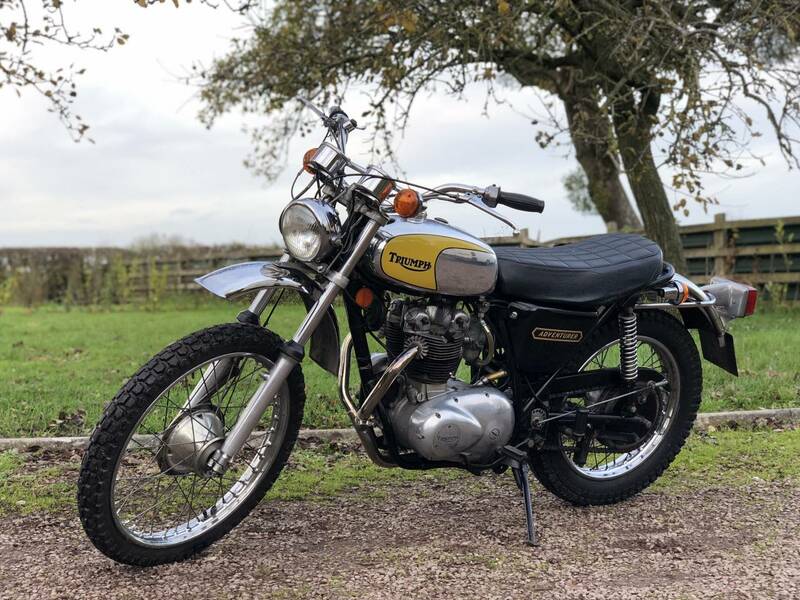 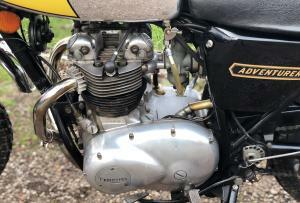 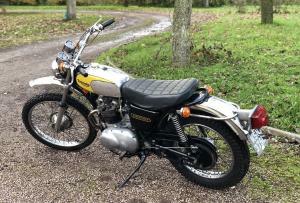 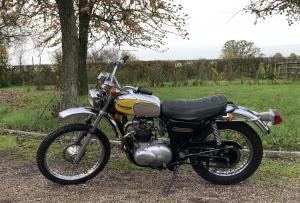 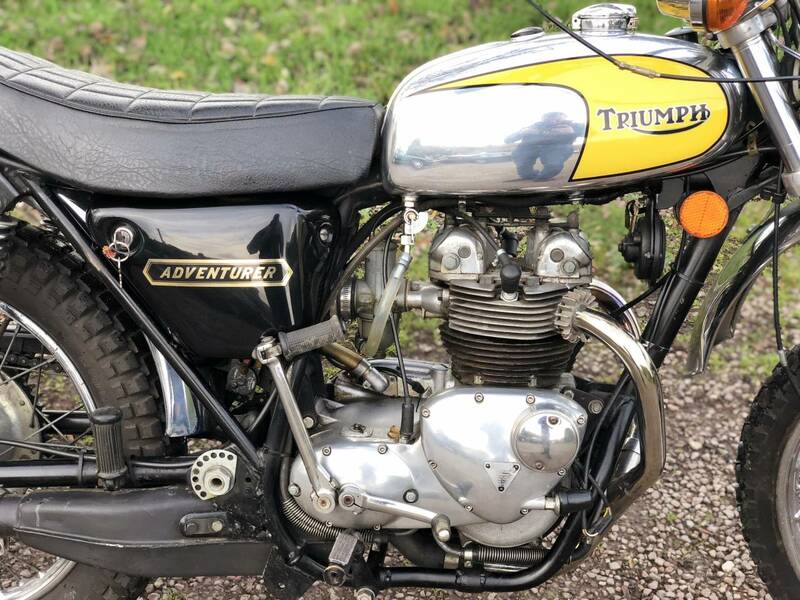 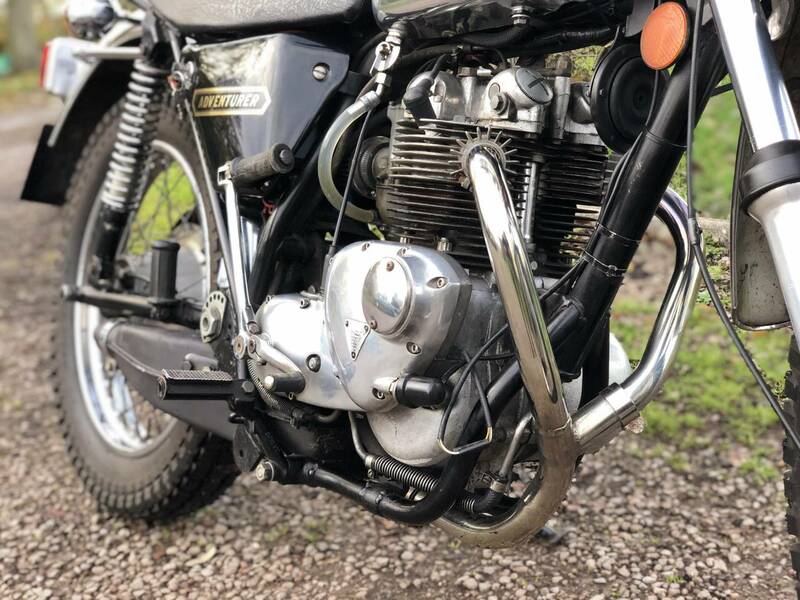 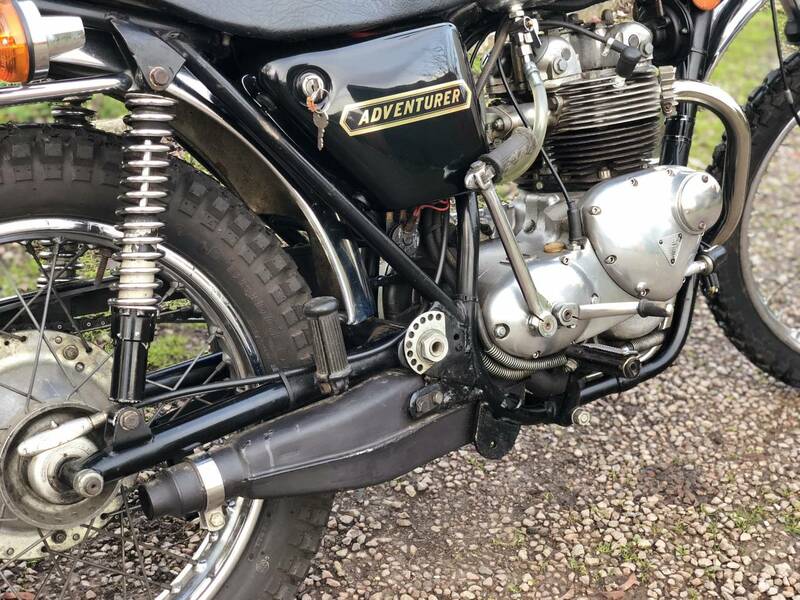 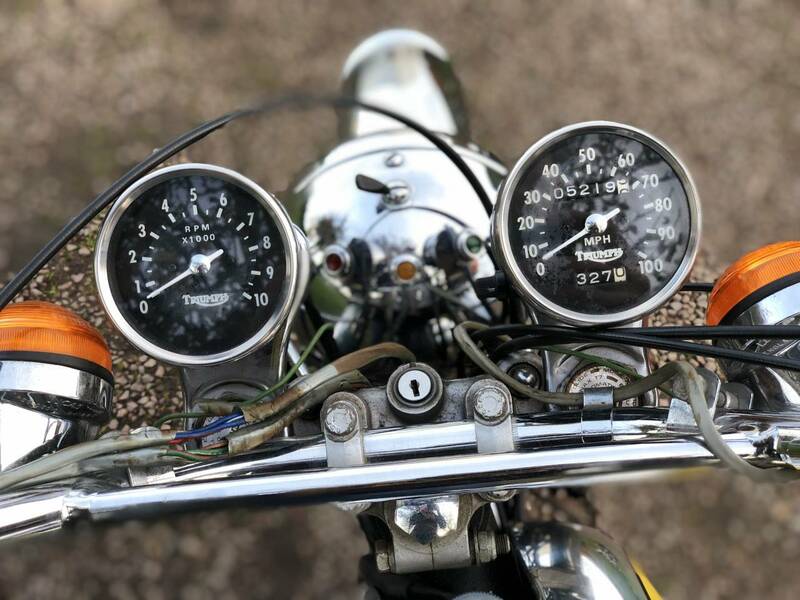 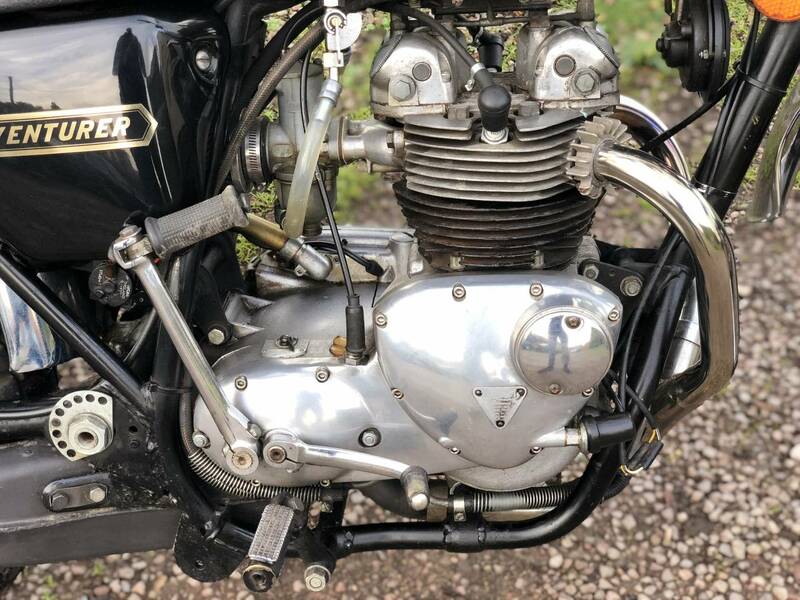 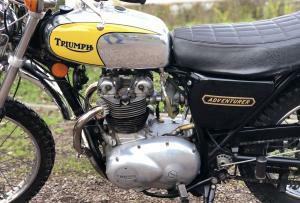 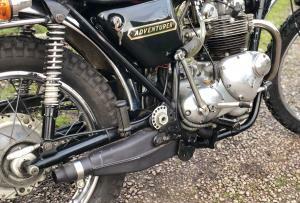 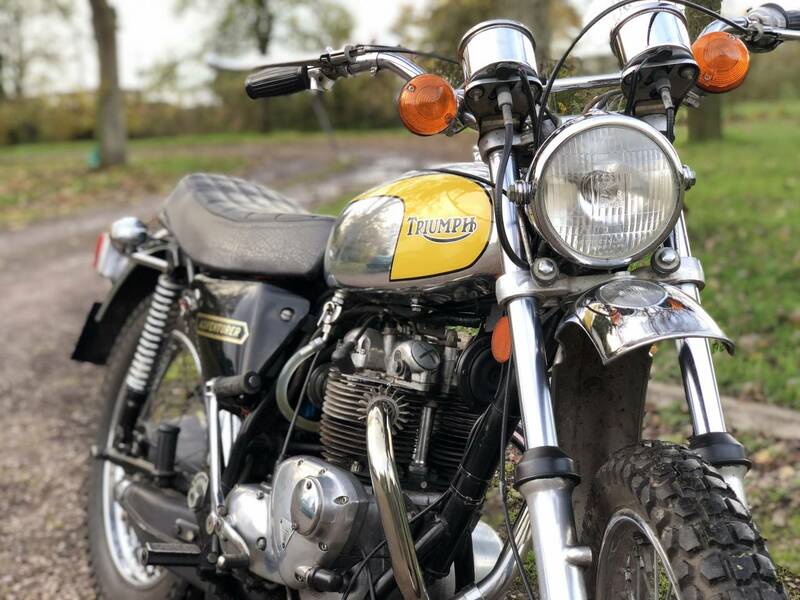 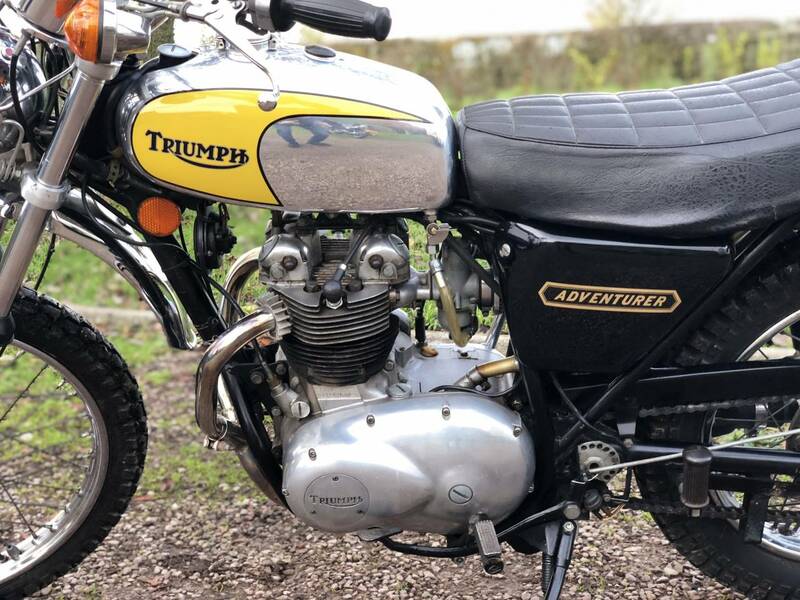 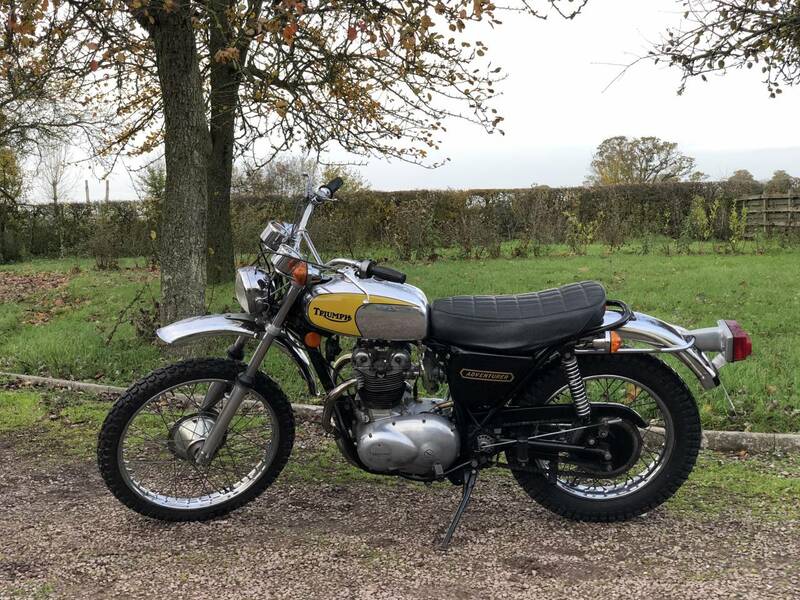 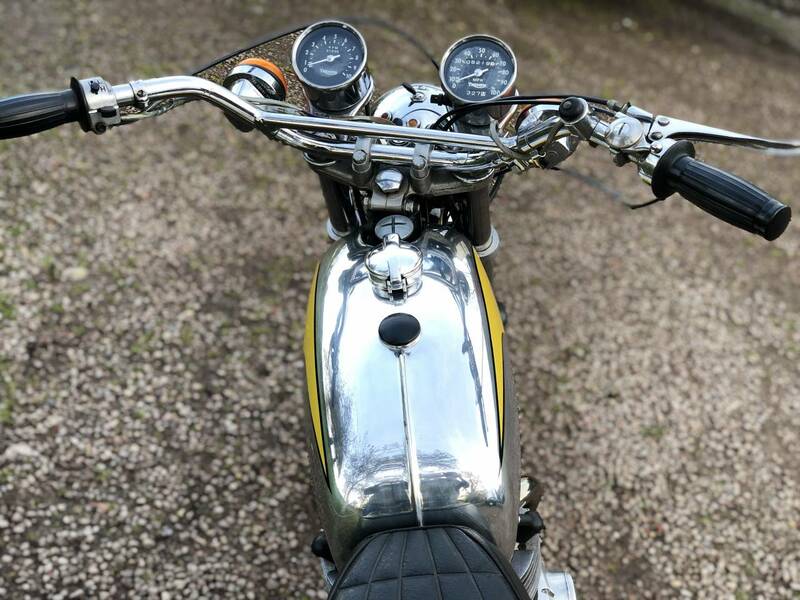 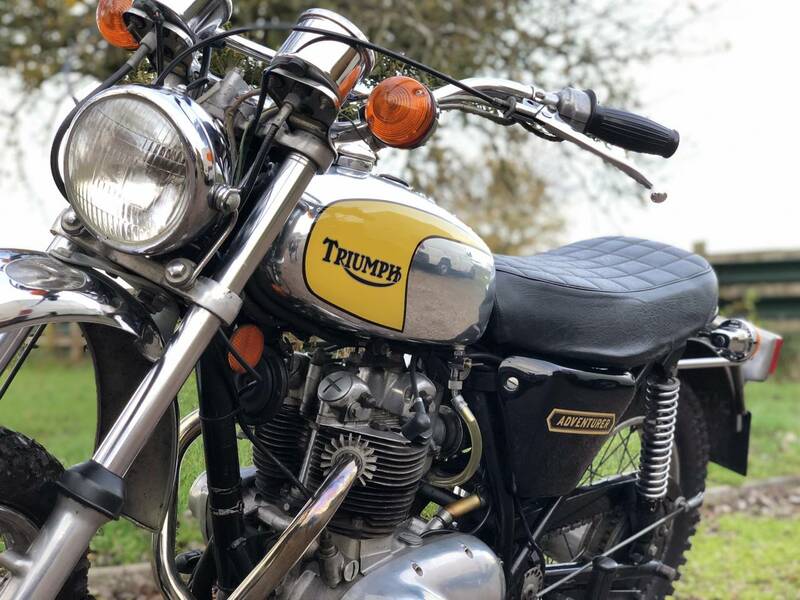 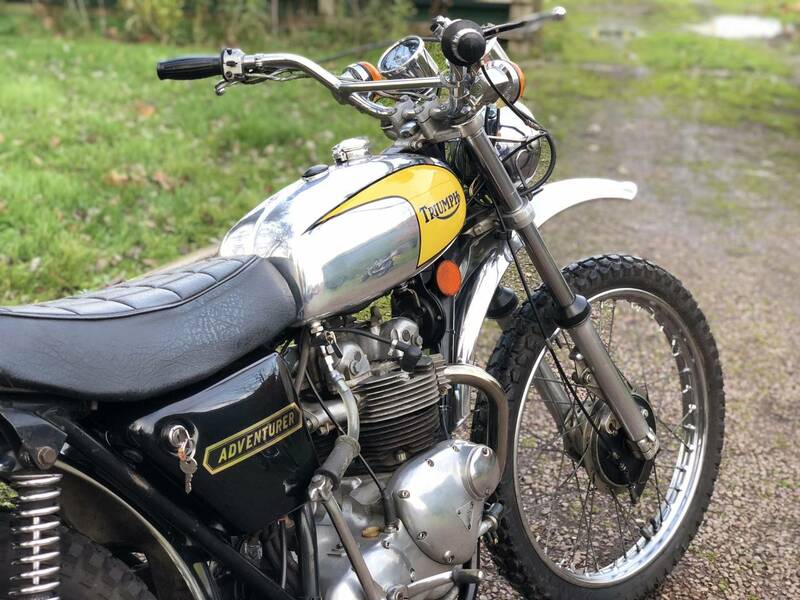 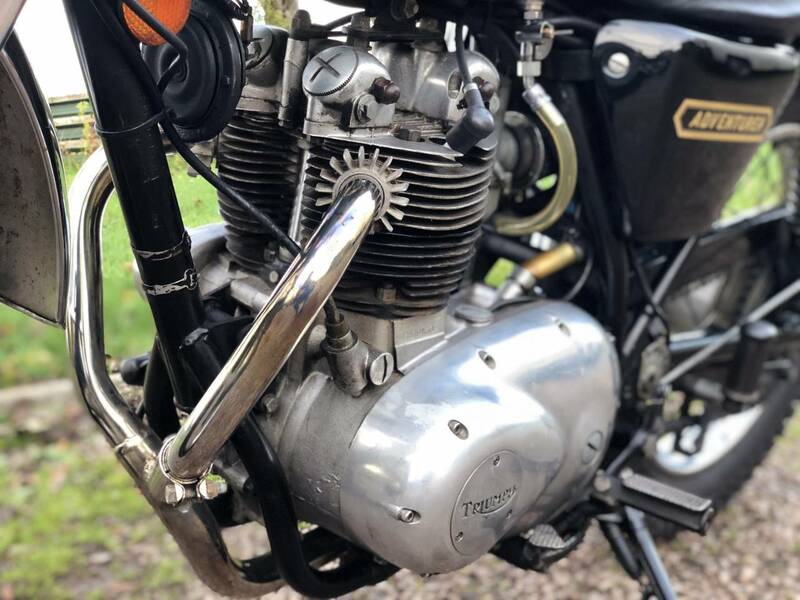 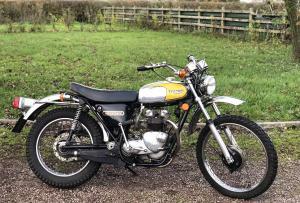 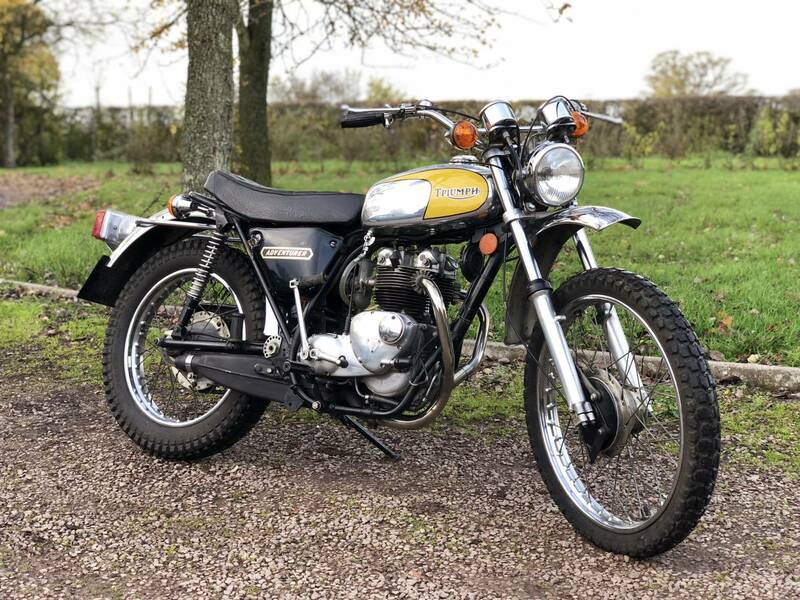 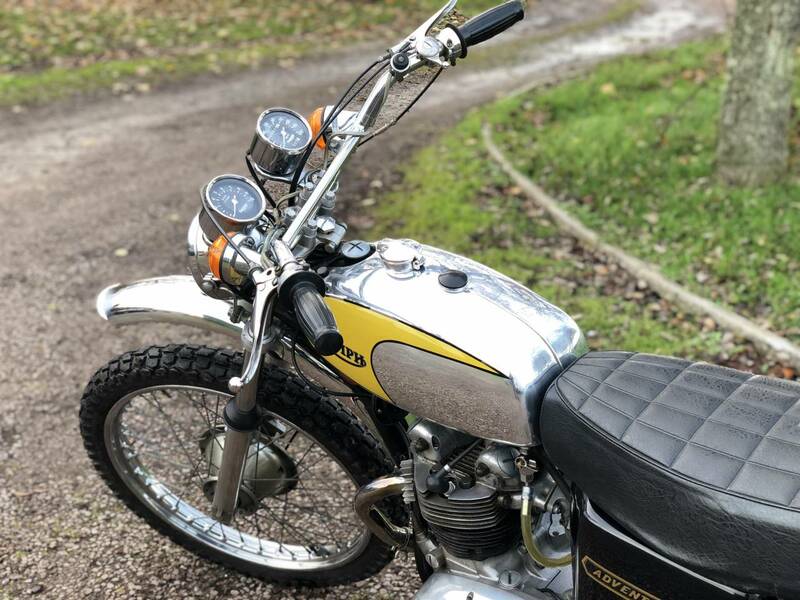 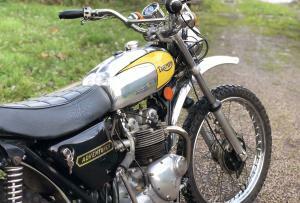 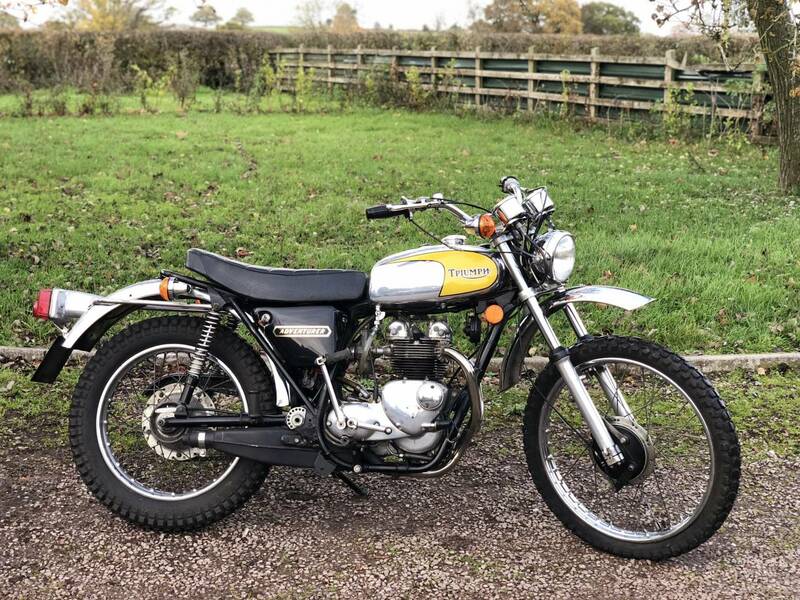 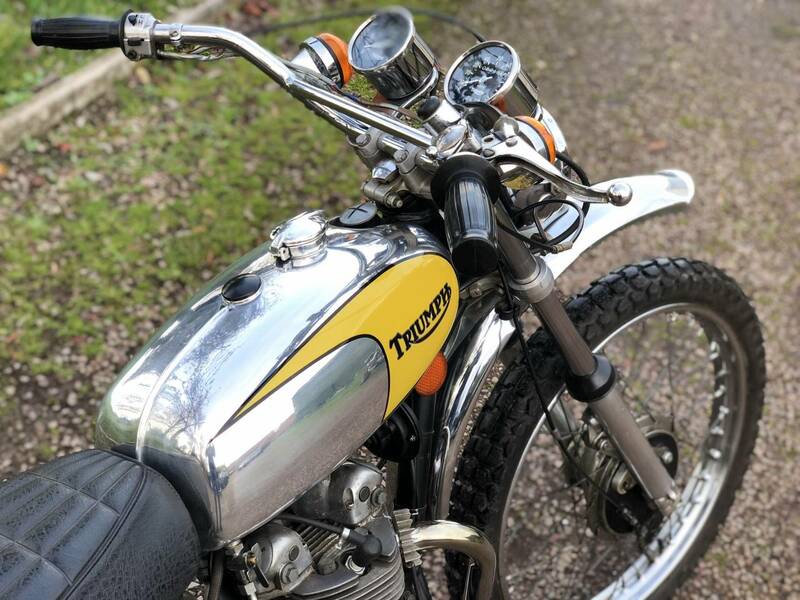 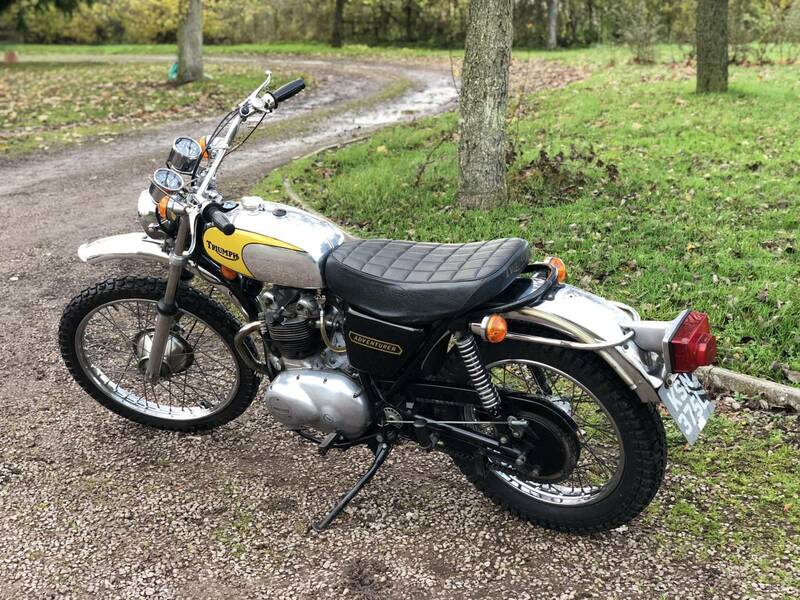 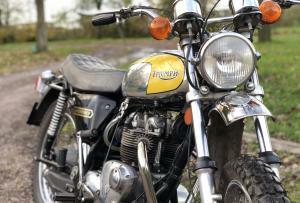 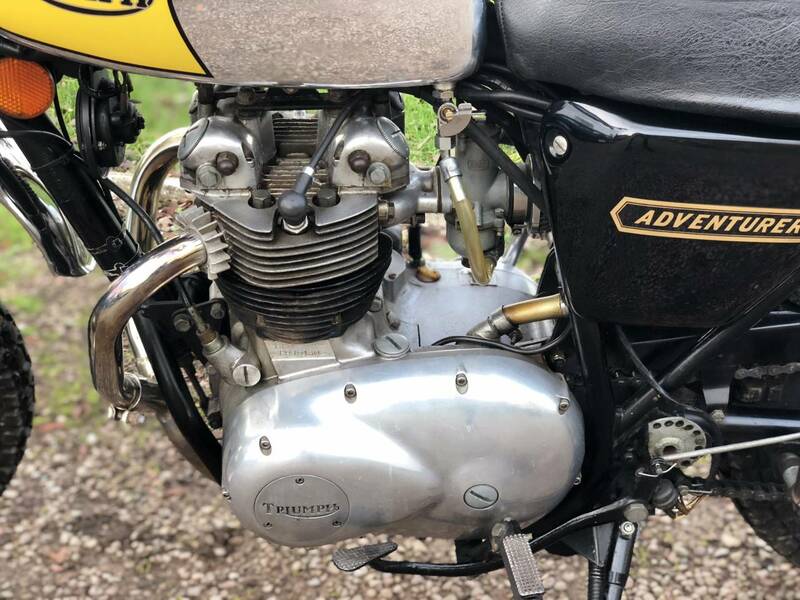 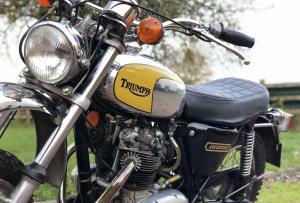 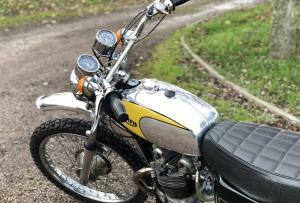 Triumph TR5T Adventurer 1973 500cc Matching Numbers. 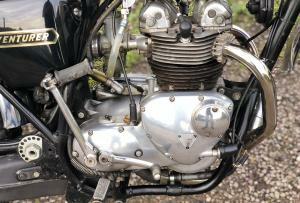 This Is A Lovely Example Of The Very Nimble And Easy To Manoeuvre Model. 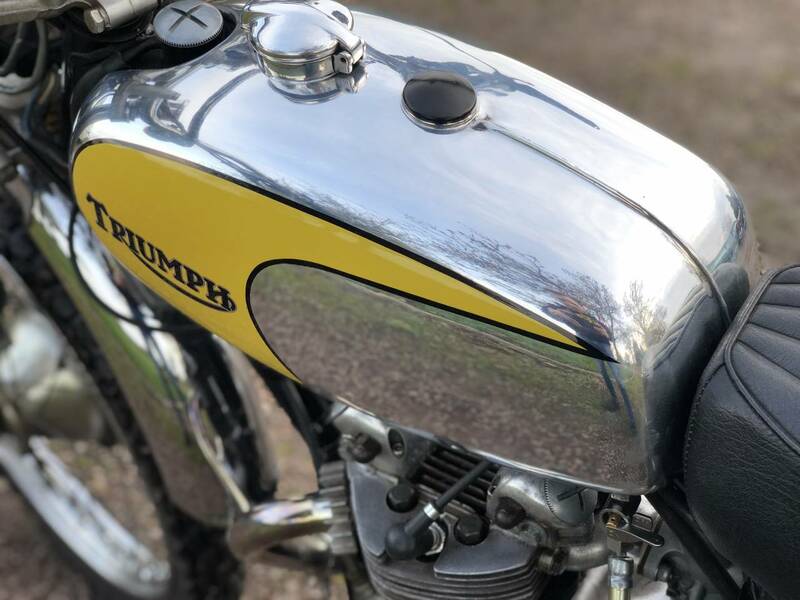 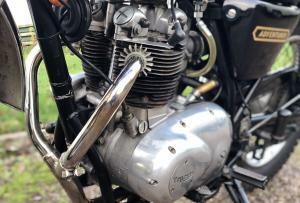 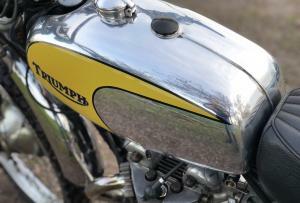 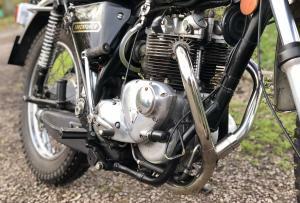 In Very Original Condition, Bar The Restored Tank And Side Panels. 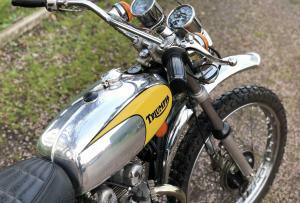 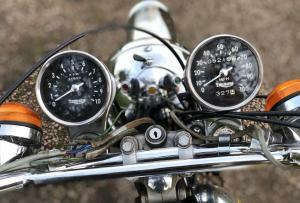 It Has A Lovely , Quiet Running Engine, Which Starts Straight Away And Ticks Over Immediately And Rides Without Fault. 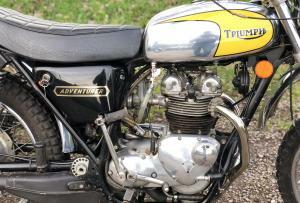 These Are Very Desirable And Very Easy To Live With And Feel Small And Lightweight Compared To Other Triumph Twins . A Lovely Looking Machine With Great All Round Capability.